Finnish melodic metal band Excalion failed already with their second album Waterlines to convince me three years ago. Their music was ok from a technical point of view but was too predictable. Unfortunately their newest effort High Time finds the band unwilling to change their approach, giving me no other choice than to deal out once again the same low rating. Excalion shy away from any kind of risk, preferring to dish out the tried and tested recipes from the melodic metal kitchen. Their songs are never too long, full of harmonies, come with clean vocals and lots of guitar solos. This could work, were it not for Excalion acting too tamely and therefore not really sounding like a metal band anymore. Sun Stones begins promisingly with an oriental touch, but eventually also only delivers typical melodic metal. The overly prominent keyboards also rob the music of its edges. The music, lacking any kind of grittiness, never manages to carry me along. But even blind chicken get lucky sometimes, which means for Excalion their song Lifetime where they for once break out of their restraining jackets to perform a really exciting piece of music. But one hit next to ten misses is definitely not enough to play in the top league. 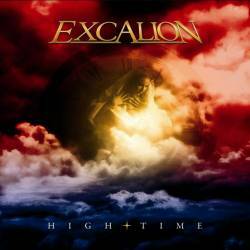 There are so many good metal bands waiting to get their music out that I can’t imagine who wants to spend their time, energy and money on Excalion.